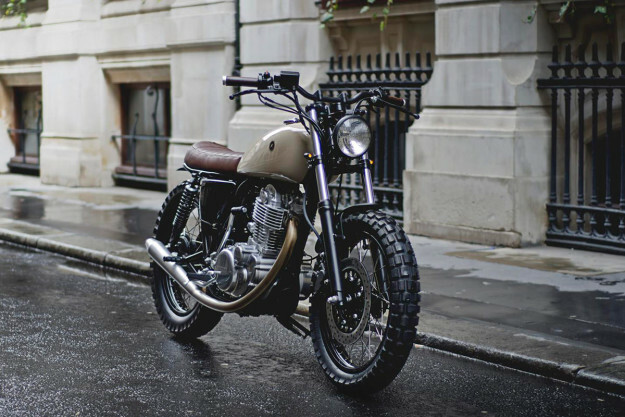 At a glance, Yamaha’s re-issued SR400 is virtually indistinguishable from its vintage counterparts. Which is probably why it’s so popular. It has all the charm associated with the iconic SR designation, with the added benefits of fuel injection and ‘new bike’ reliability. 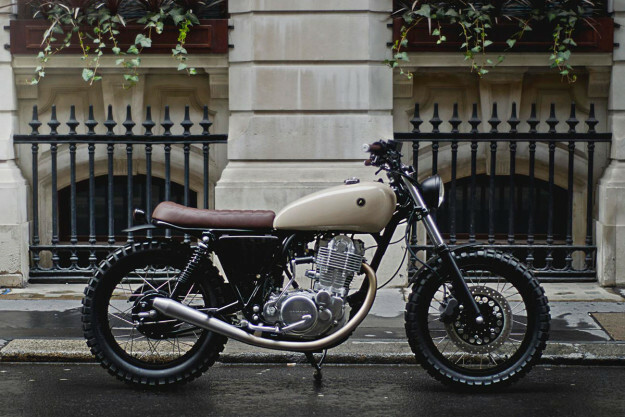 A combination that led Auto Fabrica’s newest client to turn his SR400 in for a makeover. Even though Bujar and his crew at the English workshop have already got a few SR builds to their name, this was their first time turning wrenches on a modern example. Still, it posed no problems: “Type 7” is as understated and classy as they come. The engine clearly didn’t need any work, so the crew focused on aesthetics and a few carefully considered performance mods. Many OEM parts were shed, noticeably reducing the bike’s weight. On went hand-made aluminum fenders, plus discreet lights and turn signals. The cockpit was cleaned up too, with Renthal low-rise bars and a Motogadget speedo. 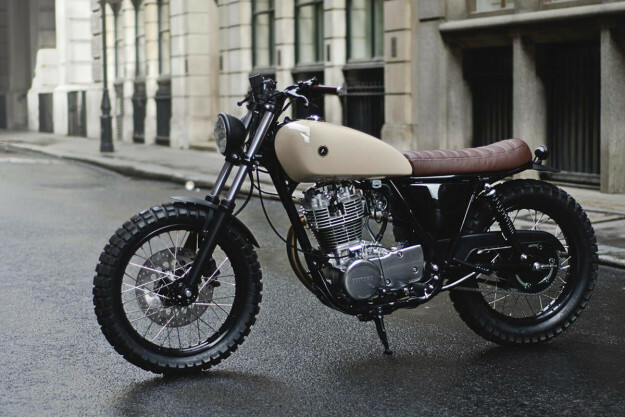 Auto Fabrica boosted the SR400’s power with an open filter and free-flow exhaust system—keeping the O2 sensor in place. The exhaust is inspired by classic Yoshimura designs, and is hand-bent from stainless steel. To improve handling, the front forks were tuned to be stiffer, and the rear shocks replaced with Hagon units. 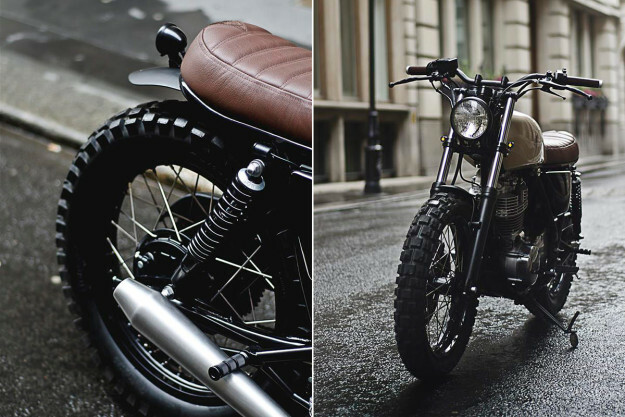 Continental TKC80 tires were fitted for more than just their scrambler aesthetic: the owner intends to ride the SR on both the streets of London and the occasional dirt trail. The Type 7’s strength really lies in its finishings though—something that Auto Fabrica take very seriously, giving their bikes an almost factory feel. “We focused on a classic color and trim finish,” says Bujar Muharremi, co-founder and creative director. 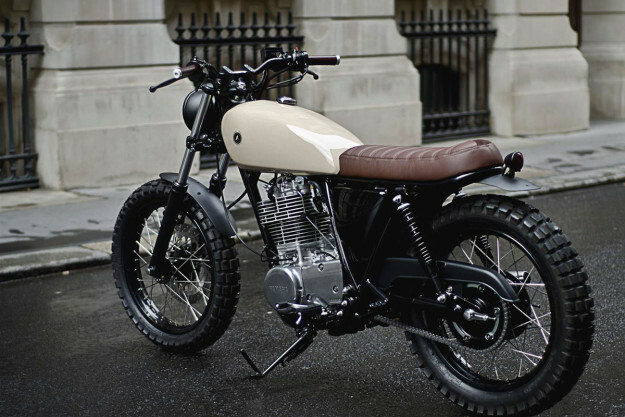 A flat cream color was chosen for the tank, complemented by a custom-made seat sitting on a trimmed subframe. The rich brown leather was used to make a pair of leather grips too. The SR’s remaining hard parts were treated to black or metallic finishes. 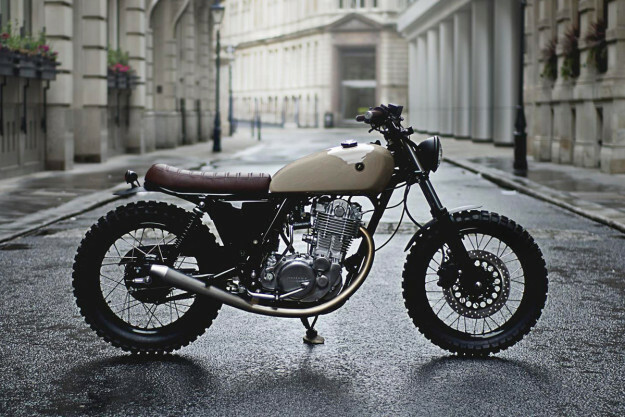 “We chose different textures for different aspects of the bike,” says Bujar. “Matte for the fenders and bars, and gloss for the frame and wheels.” To top it off, the wheels were rebuilt with stainless steel spokes for a more classic vibe. We have only one question: When can we pick up the keys?